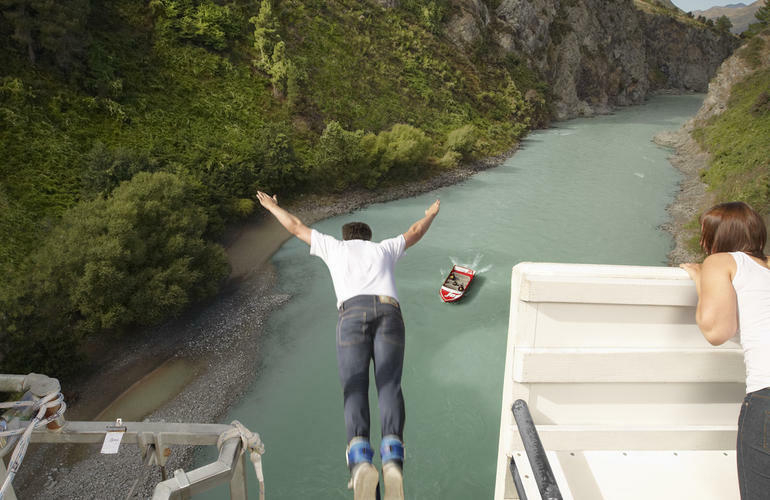 Get your adrenaline boost in the beautiful wilderness of Hanmer Springs with a bungy jump from the 135-years old Waiau Ferry Bridge. Located in an idyllic setting overlooking the Waiau river, you will jump towards the river and freefall 35 meters in total safety. Unleash your deepest emotions as you jump into excitement and happiness with your securely strapped harness. Once your jump is over, a jet boat will collect you and return you safely to the shore. Be ready for the memories of a lifetime in Hanmer Springs alpine scenery! 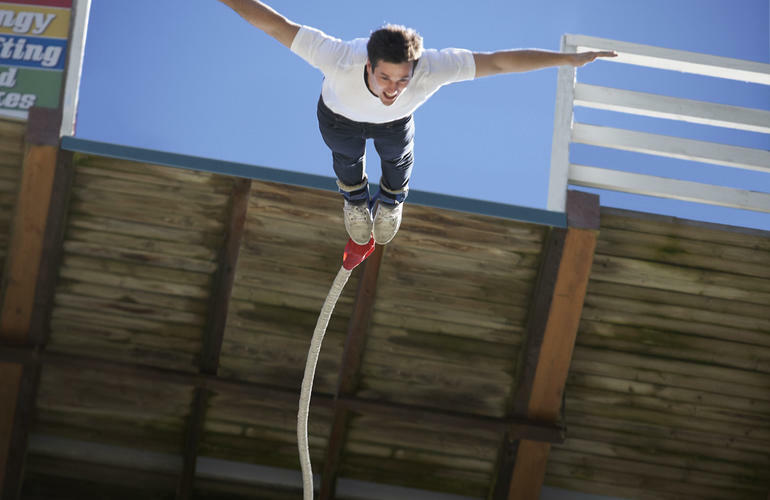 Hanmer Springs Attractions is located in Hanmer Springs, just a 90-minute drive north of Christchurch. 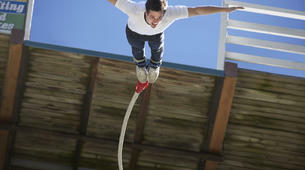 The activity is located at the river base, 839 Hanmer Springs Rd, Hanmer Springs 7334, New Zealand. The activity takes 20 minutes, however please allow 30 minutes to perform the activity. 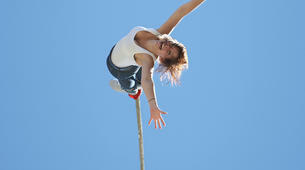 - The minimum weight to jump is 35kg. - All children must fit into safety equipment and be accompanied by an adult. 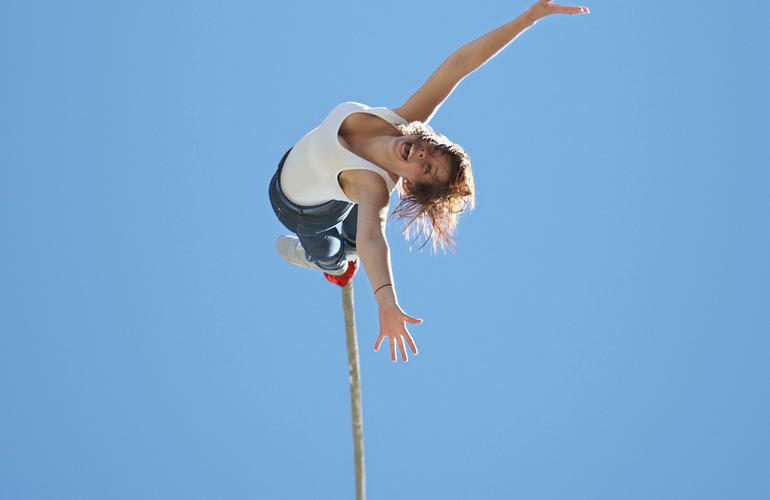 The activity is for 2 people wanting to jump together. It takes 20 minutes, however please allow 30 minutes to perform the activity.